College Educated, She Graduated…. Now what? It only took me three short years into college to realize I wanted to have a career in public relations. During that time, I saw myself doing everything from being a teacher to a forensic scientist. But after I took my first PR class, I realized, hey – this seems worth exploring! So, you know you want to start your career in PR, but you’re not sure what to do next? 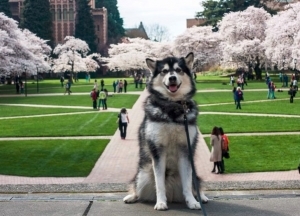 Below I’ve outlined a few tips I learned while at the University of Washington that helped me get my foot in the door and can help new graduates kick start their career right after college. The added bonus? You’ll avoid the “So what are you plans after graduation?” question from your extended family. G et an internship – maybe even two! If you’re anything like me, I had no idea what field I wanted to go into within PR – I worked an internship at Barokas working with tech clients and another at a destination marketing organization. By working in such different sectors, I was able to gain a better understanding of my career goals and realized working at a PR agency was the best place to launch my career. O pen up the door for yourself and work to expand your professional network. If you have an internship, ask everyone to coffee to learn more about their specific role within the company. There are so many different organizations and fields that you probably wouldn’t have thought of beforehand. Your coworkers are often well connected in the industry and are always willing to take a broke college student out for a cup of coffee. D efinitely join PRSSA (Public Relations Student Society of America), their entire mission is to enhance members education in PR and help launch students careers after graduation. I never did…whoops! But it would have been helpful when I first started networking with PR professionals. The whole process can be daunting and PRSSA gives career advice, helps facilitate networking opportunities and gives you great exposure to the industry. A sk for tours of PR firms, whether it’s through a class field trip or from a mentor in the field. It’s a great way to see the type of environment you would be working in and gives you the opportunity to connect with people in the field. W in during an interview. Come prepared with a built-out portfolio that demonstrates your work experience and PR capabilities. If you’ve had an internship or taken a class that required you to draft pitches, press releases, media alerts or blog posts, bring examples to set yourself apart from other candidates. G rammar skills are important. Writing and editing are the bread and butter of PR, so it’s imperative to develop strong skills. S tay curious above all. Go Dawgs.